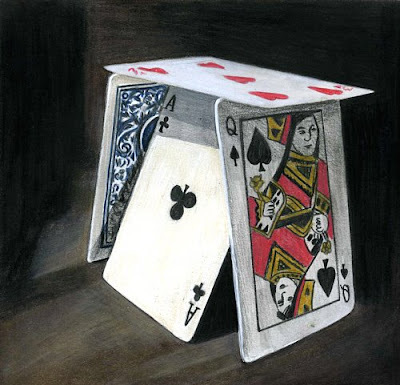 As a kid I love to build a house of cards. I loved the challenge of seeing how high I could get it before it fell down. This is a mixed media piece. It is color pencils blended with mineral spirits, and ink and measures 6x6. Join me on Face Book. Nice work, Joy. Really different subject matter... And I like the play on words.